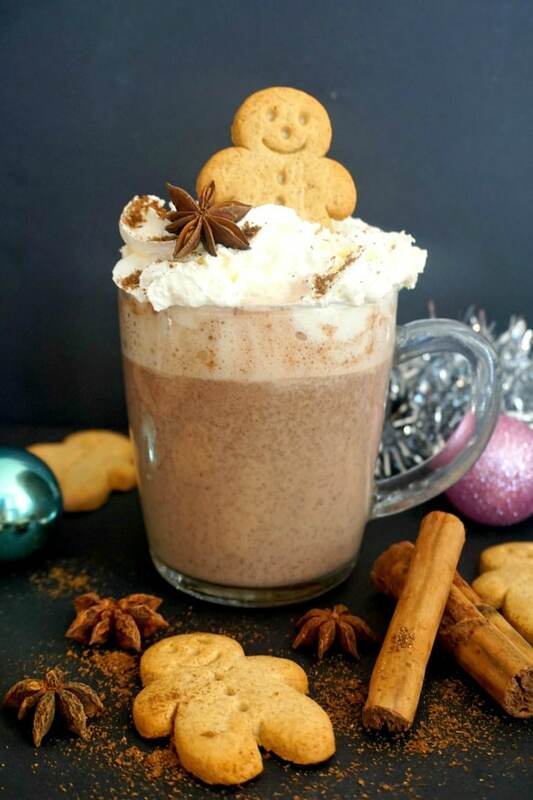 Gingerbread Hot Chocolate, an exquisite festive drink that can be enjoyed throughout the cold season, especially at Christmas. 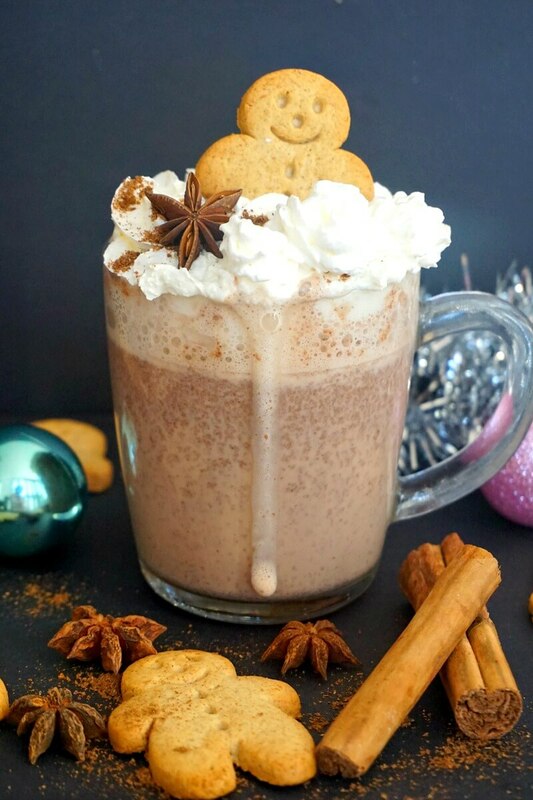 Serve it with some gingerbread man cookies, and let your taste buds be truly spoiled. Nothing like a mug of hot chocolate to comfort you when the weather is miserably cold. And since gingerbread is the favourite flavour of the season, it only made sense to make our hot chocolate extra special. 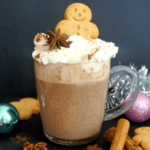 True, perhaps the gingerbread latte is more popular, but I’m a hot chocolate girl trough and trough, and that will always be my first choice of hot on-alcoholic Christmas drink. 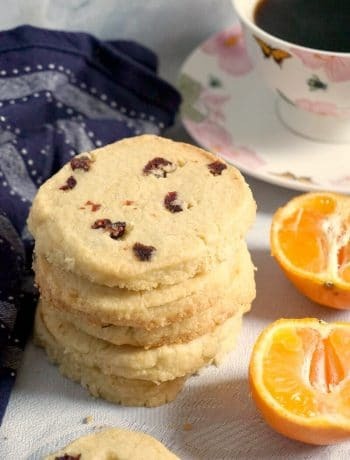 If you like gingerbead man cookies (I mean, honestly, who doesn’t), then you will like this drink for sure. It might not be the healthiest, so don’t even bother check the calories, but it can comfort you like nothing else. Plus, Christmas is coming, so let’s worry about calories in January, no need to feel all guilty even before the festive madness is about to start. The first one is ginger, of course. Ground ginger is the best, although I guess you can use fresh one too, but let’s stick to the ground one for this recipe. Then, as important is the ground cinnamon. But for me, the very star of the show has to be the star anise. It’s the first time I use it in a recipe (I know, shame on me for not using it sooner), and I absolutely love it’s flavour. The mixed spices ( the best blend of spices like cinnamon, coriander seed, caraway, nutmeg, ginger and cloves) add that christmassy flavour we all love. If you don’t have mixed spices, which is a popular blend of spices in the UK, but unsure if equally popular in other countries, then you can use allspice. Or just add ground cloves and nutmeg, if the you can’t easily get the other spices. 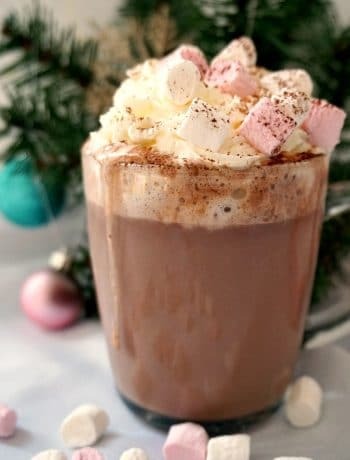 But if spiced hot chocolate is not your thing, you can always go back to the traditional hot chocolate with marshmallows and cream. 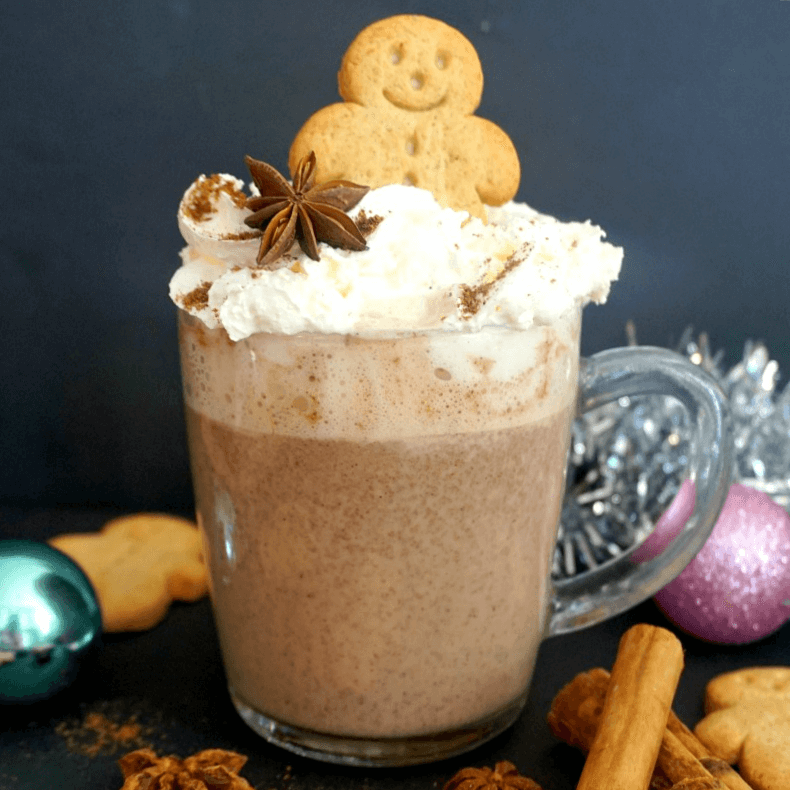 Anyway, I do hope though that you will like this gingerbread hot chocolate, not only it tastes like heaven, but it also has that festive touch that makes us look forward to Christmas. 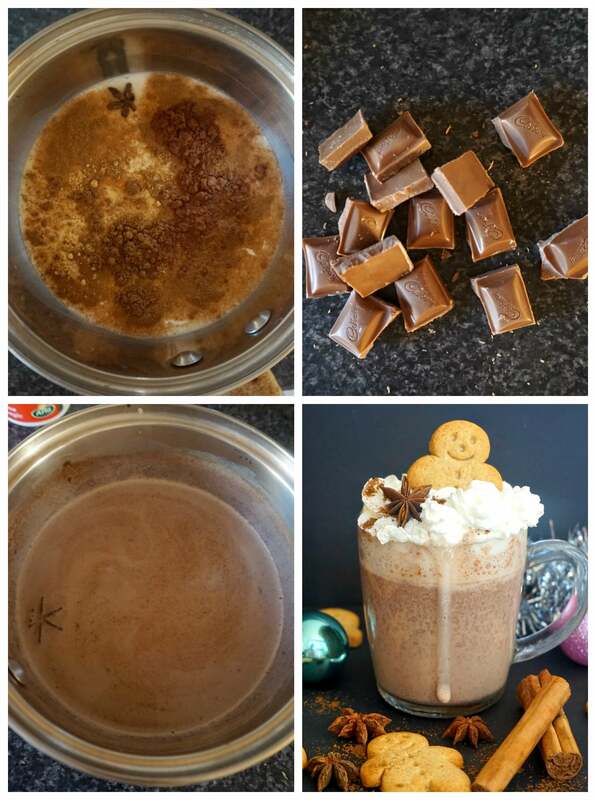 If you’ve liked my GINGERBEAD HOT CHOCOLATE or any other recipe on the blog then don’t forget to rate the recipe and let me know how you got on in the comments below, I love hearing from you! You can also FOLLOW ME on FACEBOOK, and PINTEREST to see more delicious food and what I’m getting up to. Pour the milk in a pan, add the cocoa powder, sugar and the spices, and bring to a boil. Add the chocolate pieces, and stir well, until the chocolate is melted. Transfer to a cup and top with cream (opional).